New episode of Celebrity Apprentice premiered tonight and it’s the “All-Star” season… meaning they have brought back previous Celebrity Apprentice contestants. The cast is as follows: Trace Adkins, Stephen Baldwin, Gary Busey, Penn Jillette, Lil Jon, Bret Michaels, Dennis Rodman, Dee Snider, Marilu Henner, La Toya Jackson, Claudia Jordan, Omarosa, Lisa Rinna, and Brande Roderick. I will admit, I am looking forward to the train wreck that is Stephen Baldwin and Dennis Rodman, but I am not thrilled about Gary Busey being back. I feel he is a mental patient that should not be filmed, mocked, and ridiculed. He has sustained brain injuries and is mentally incapacitated and we shouldn’t make fun of that. However, some argue that the extent of his injuries is all part of an act and he knows exactly what he’s doing. I suppose either way it makes for good TV, but I do feel a bit uncomfortable about his repeat appearance on the show. Some favorites I’m looking forward to seeing again are Dee Snider, Penn Jillette, Marilu Henner, and Bret Michaels. I loathe Donald Trump so much that I wonder why I even watch this show. I think it’s my drive to be a successful entrepreneur and businesswoman that makes the show interesting to me. The tasks they have to complete are interesting and I like the competitive atmosphere… even if it is all for a ridiculous title of Celebrity Apprentice. Metropolitan Museum of Art sets the stage for the initial task. Each contestant reveals why they’re there for a second go around at the Apprentice. He tells Bret Michaels it was a stupid to come back for a second time since he won the first time. Not sure how raising money for charity would ever be a stupid move. Trump then tells Bret and Trace that they will be picking who they want on their teams. Trace picks Penn first and Bret chooses Omarosa first (ballsy move!). The last picks are Gary Busey for Trace’s team and Dennis Rodman for Bret Michaels’ team. So the final Trace team is: Penn Jillette, Marilu Henner, Dee Snider, Stephen Baldwin, Lisa Rinna, and Gary Busey. Bret’s team is: Omarosa, Lil’ Jon, Brande Roderick, La Toya Jackson, Claudia Jordan, and Dennis Rodman. Neither team is perfect, but at this point I would put more faith in Trace’s team. Now the teams go back to their suites to decide who will be the project manager and what their team names will be. Bret’s team jokes that they have all the black people on their team… so they toss around names like Salt & Pepper, Oreo, but then Omarosa does a little rap and Lil Jon says that the main thing that stuck out in her rap was POWER. So they quickly decide on the name of Team Power. On Trace’s team Gary starts spouting names off rapid fire, but none of the suggestions are any good. Plan B gets tossed out as a suggestion and for different reasons, each member on the task latches on to it… so Plan B it is. Trace gets nominated/volunteered to be project manager because he says he has T-Boone Pickens as someone in his Rolodex that he can call to make a donation. The first task is always a fundraising one, so Trace is a natural choice. Omarosa says that Bret Michaels should be project manager since he won last time and Brande fights tooth and nail to be able to be project manager… even gets on her hands and knees and begs. She claims to have big donors and she wants to be able to give her charity a fat check right off the bat. The teams then meet back in the boardroom with Donald Trump, Piers Morgan, and Ivanka Trump. Bret explained why Brande is the project manager and Omarosa immediately throws Bret under the bus and says it really should have been him. She disagrees with Bret conceding to Brande for project manager. The team then reveals their name, Power, to Trump. Trace tells Trump he is the project manager for his team and their name is Plan B.
Trump then describes their first task to the teams: They are going to be making meatballs and a Meatball shop. They will be selling meatballs. Then they will be bringing their meatballs to the Kelly and Michael show and whose meatball they like the best will receive a bonus check to be added to their total. The one who makes the most money is the winner and all of the money will be going to the PM’s charity. Trace discusses his plan… he doesn’t care what the meatballs taste like. He doesn’t want to put any effort into developing the meatball. He doesn’t even want to open the restaurant up to the public. He’d rather have a private dinner with about 15 people who have deep pockets. On Brande’s team (Power) she is struggling with finding a place for Dennis to work where he has any skills. Both Brande and Trace focus on making phone calls to fundraise. The teams go to Live with Kelly and Michael show to present their meatballs to the hosts. Bret and Lil Jon present Power’s vegetarian ball while Penn and Marilu present “Harry’s Balls” (her husband, Harry’s, sauce is on the balls). The meatball shops open and Brande’s got some big checks coming through for Team Power. The line for the shop is around the block. Trace’s team on the other hand, opens their shop and nobody’s there. Everyone is just standing around. Trace put signs on the front of the store that read “Closed for Private Event.” Finally in walks Amy Grant who brings in $75,000 in checks, then Gilbert Godfried with $10k, and Valerie Bertanelli with $5k, and more celebs file in. Maybe his plan will pan out. Back in Brande’s team the line keeps coming in and Bret is really working each donor for as much money as possible. Omarosa is keeping track of each dollar that comes in and what contestant they’re there for. Bret says he notices that she cheers and makes a big deal out of each donation that comes in for everybody’s but his. Omarosa is making a point to try to make Bret look bad. T-Boone Picken’s check comes in for Trace’s team for $100,000. That is HUGE. Brande’s going to have a hard time topping that. Brande says in her interview that her “really big donor” (assuming it’s Hugh Hefner) doesn’t look like he’s going to come through for her. She’s upset that he said he was going to be there to support her and now he’s not. She said he’s got 15 minutes to get a check to her and it’s not looking good. Boardroom time… Bret defends his decision again to come back even though he won his previous season. Omarosa claims that Bret didn’t raise hardly any money. Brande defends Bret and says he was awesome. La Toya says that Brande was a little frazzled and was not overly impressed with Brande. Penn defends Trace’s decision to not open it up to the public and said that the way the game is set up, it’s set up for “whales.” You can earn more money if you just have whales. If a crowd turns away even one “whale” (big donor) they could lose. They all admit it was a gutsy gamble that they may have not done themselves, but it could work. Trace names Stephen as the weakest link in the group. Stephen explains that he’s saving his fundraising efforts as possible for his own turn as project manager. Piers and Trump call him out as being selfish and if they lose he would probably be fired and never have the chance at project manager anyway. Live with Kelly and Michael results…. Brande’s team wins and adds $20,000 to their total. Brande’s team raised $250,533 total. Trace’s team raised $419,539! 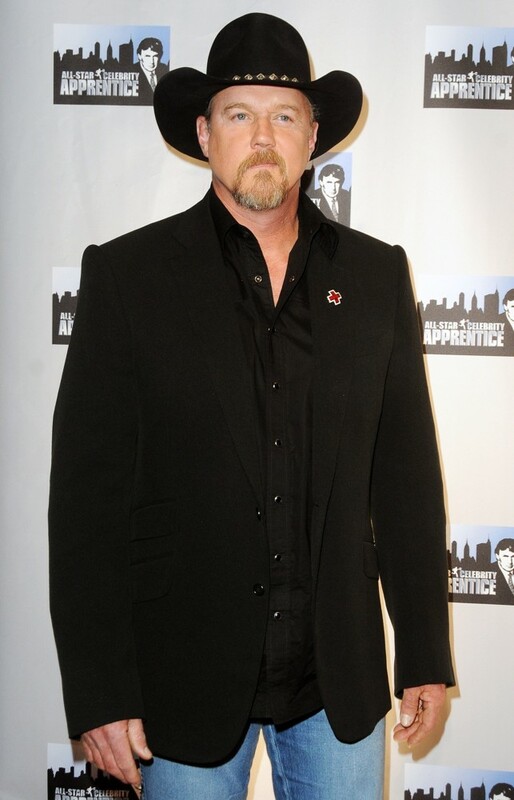 $670,000 goes to the American Red Cross for Trace Adkins and his team is safe. Someone from Brande’s team will be fired. Brande is getting nailed for not knowing the numbers in the task. Brande’s saying Omarosa is the one that tracked the money coming in and was the cashier. Omarosa claims that Bret brought in the least amount of money, but he swears he brought in more than she did. I’m kind of disappointed Bret isn’t defending himself better, but I am thinking Brande will be fired for promising to come through with the fundraising and then failing at it. I would love to see Omarosa fired though for being difficult to work with and deceiving. Brande choses La Toya and Bret to bring back in the boardroom. Ugh!! Wish she would have brought back Omarosa but Trace points out that Trump wouldn’t fire her. The three enter back in the boardroom. Trump immediately attacks Brande for bringing La Toya back in the boardroom and for not bringing Omarosa back. The judges attack Brande for her decision to put Omarosa in charge of the money. But she brings up the fact that she raised the most money at around $130k. Trump harps on Bret again for coming back to play again and then fires him. Bret Michaels is Fired! He says he cannot fire someone who raised as much money as Brande and just doesn’t think Bret should have come back a second time. I really feel Bret got the wrong end of the deal here. He should have never picked Omarosa for his team and I bet he would have been just fine. Posted by amandatalkstv on March 4, 2013 in Celebrity Apprentice All Stars and tagged All-Stars, Brande Roderick, Bret Michaels, Celebrity Apprentice, Claudia Jordan, Dee Snider, Dennis Rodman, Gary Busey, Ivanka Trump, La Toya Jackson, Lil Jon, Lisa Rinna, Marilu Henner, meatball, Omarosa, Penn Jillette, Piers Morgan, Plan B, Power, Stephen Baldwin, Trace Adkins, Trump. I would love to find out where the celebrities got their blue baseball hats that they wore in this epiSode. (: any idea wear I could find them.